﻿ Radio Brisbane plays the best music from today and yesterday. Maximum Music, Minimum Talk - Just great songs in a perfect mix. 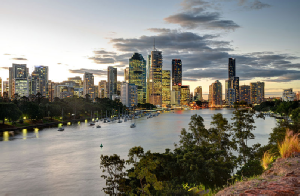 Brisbane is the capital and most populous city in the Australian state of Queensland and the third most populous city in Australia. The city played a central role in the Allied campaign during World War II as the South West Pacific headquarters for General Douglas MacArthur. 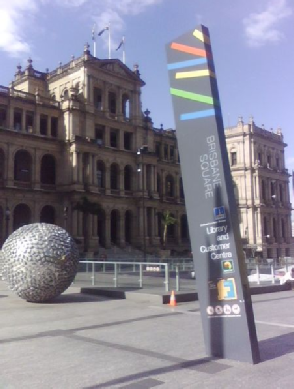 Brisbane has hosted many large cultural and sporting events, including the 1982 Commonwealth Games, World Expo '88 and the final Goodwill Games in 2001. Brisbane is the largest economy between Sydney and Singapore, and as of 2008 is classified as a Global city. The Brisbane central business district (CBD) lies in a curve of the Brisbane river. The CBD covers 2.2 km2 (0.8 sq mi) and is walkable. Central streets are named after members of the royal family. Queen Street is Brisbane's traditional main street. Streets named after female members (Adelaide, Alice, Ann, Charlotte, Elizabeth, Margaret, Mary) run parallel to Queen Street and Queen Street Mall (named in honour of Queen Victoria) and perpendicular to streets named after male members (Albert, Edward, George, William). The city has retained some heritage buildings dating back to 1820s. The Old Windmill, in Wickham Park, built by convict labour in 1824, is the oldest surviving building in Brisbane. 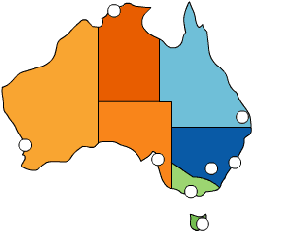 Unlike other Australian capital cities, a large portion of the greater metropolitan area of Brisbane is controlled by a single local government area. Brisbane has a range of retail precincts, both in the Central Business District and in surrounding suburbs. The Queen Street Mall has a vast array of cafes, restaurants, cinemas, gift shops and shopping centres including: Wintergarden, Broadway on the Mall, QueensPlaza, Brisbane Arcade, Queen Adelaide Building, Tattersalls Arcade and The Myer Centre. Edward St, in the city, is home to many luxury international retailers, such as Louis Vuitton, Tiffany and Co., Hermès, Gucci, Bally, Montblanc, Canali, Maxmara, Oroton, Polo Ralph Lauren, Bvlgari, and Hugo Boss. The majority of retail business is done within the suburbs of Brisbane in shopping centres which include major department store chains. The largest shopping centres by area are located in the suburbs of Chermside, Upper Mount Gravatt, Carindale and Indooroopilly. Other large shopping centres are located in Toombul (Centro Toombul), Mitchelton (Brookside Shopping Centre), North Lakes (Westfield North Lakes), Strathpine (Westfield Strathpine) and Loganholme (Logan Hyperdome). Strips of locally based retail stores are located on Latrobe Tce, Paddington; Boundary Street, West End; and James Street, Fortitude Valley. Brisbane has a substantial live music scene, both popular and classical. The Queensland Performing Arts Centre (QPAC), which is located at South Bank, consists of the Lyric Theatre, a Concert Hall, Cremorne Theatre and the Playhouse Theatre and is home to the Queensland Ballet, Opera Queensland, Queensland Theatre Company, and the Queensland Symphony Orchestra. The Queensland Conservatorium, in which professional companies and Conservatorium students also stage performances, is located within the South Bank Parklands. Numerous choirs present performances across the city annually. These choirs include the Brisbane Chorale, Queensland Choir, Brisbane Chamber Choir, Canticum Chamber Choir, Brisbane Concert Choir, Imogen Children's Chorale and Brisbane Birralee Voices. Due to the lack of a suitable purpose built performance venue for choral music, these choirs typically perform in the city's many churches. 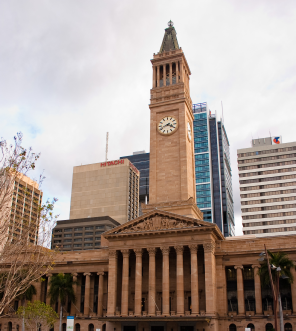 Brisbane has hosted several major sporting events including the 1982 Commonwealth Games and the 2001 Goodwill Games. The city also hosted events during the 1987 Rugby World Cup, 1992 Cricket World Cup, 2000 Sydney Olympics, the 2003 Rugby World Cup and hosted the Final of the 2008 Rugby League World Cup and will host along with the Gold Coast, some events for the 2018 Commonwealth Games. The most popular professional club in the city is the Brisbane Broncos, who play in the National Rugby League competition. Rugby Union is also very popular in Brisbane and the city hosts the Queensland Reds who play Super Rugby. Brisbane also hosts a professional football (soccer) team named Brisbane Roar Football Club and an AFL club the Brisbane Lions.